1) You can go all-out – without your form suffering. You can go hard on a freestanding or heavy hanging bag, too – but as you get more and more tired, your form may start to slip without you realizing. You’ll start to throw wild punches, let your hands drop, or your footwork get sloppy. “So what?” you might think. “I’m just training for exercise, not to fight in the ring!” Even if that’s the case, you still want good form to reduce your risk of injuries and, ultimately, get a better workout. Training with a partner holding Thai pads will still let you hit hard, and they’ll be able to keep an eye on your form! 2) It’s a great way for trainers to deliver a truly personalized session. Are you a participant in a cardio kickboxing class? Ask you instructor if he or she does personal training sessions with Thai pads. You won’t regret it! 3) There are way more things to do! Thai pads offer a – literally infinite – number of combos. There are also moves that you can train using pads that you can’t do with a heavy bag, or even with focus mitts. Remember, as we covered last time, focus mitts aren’t as good for kicks and knees as Thai pads. 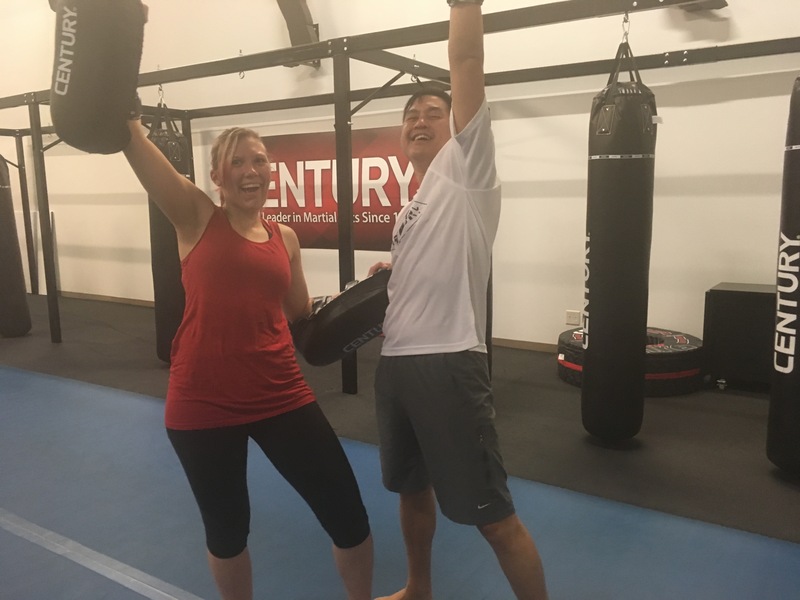 And while a heavy bag will let you practice kicks, it won’t be able to throw punches for you to slip or let you practice knees from the clinch (the clinch is where the striker places their hands behind the other person’s head and pulls them – and the pads! – into their knee). 4) You’ll build more skills than you will on a bag. Reflexes. When you’re punching a heavy bag, you’re thinking, “Okay, now I’ll throw a jab. Now I’ll kick. Now…” etc. When you have a partner calling strikes and combos, you have to actively listen and react to what they say. Footwork. You can circle around a heavy bag (unless it’s wall-mounted), but the bag’s not going to circle back. 5) Thai pads give the holder good coverage, too. I did mention in the last blog that too small a pad holder combined with too large a striker won’t be fun for the holder. Let me clarify what I mean: a petite 60-year-old who has never trained before should not hold pads for a 195 lb. MMA fighter. If you’re a personal trainer, you will likely not have any problems holding pads for any of your clients. For perspective: I’m a 27-year-old, 140 lb. woman. I’ve held Thai pads for men my age with 50+ lbs. on me. Sometimes, the jolt of catching a powerful round kick from a pro fighter is a little uncomfortable, but my arms are always fine afterwards. With nice, new, thick Thai pads, the impact is even less. I think that this is the biggest reason Thai pads are so popular. Working with a partner – whether in a personal training session or with another person from a group fitness class – brings a sense of camaraderie and teamwork to exercise that allows you to push yourself harder and enjoy the workout more.